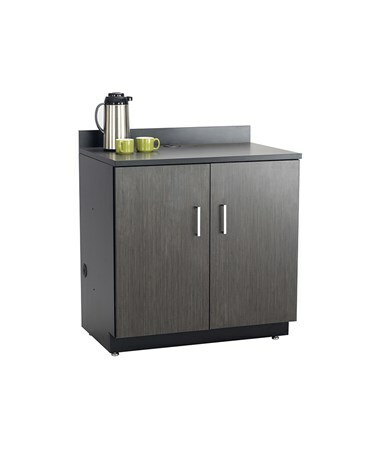 The Safco 2-Door Hospitality Base Cabinet is a stylish and tough cabinet great for a variety of uses on homes and offices. 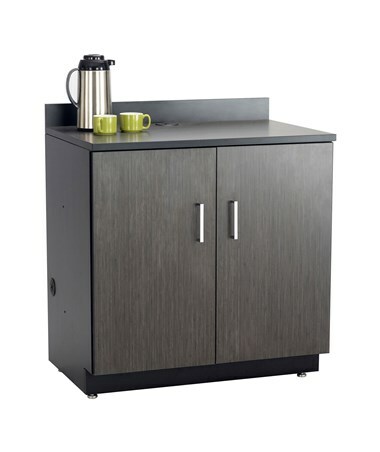 It has two internal shelves that can be adjusted in 2.5-inch increments and each can hold up to 100 pounds of weight. 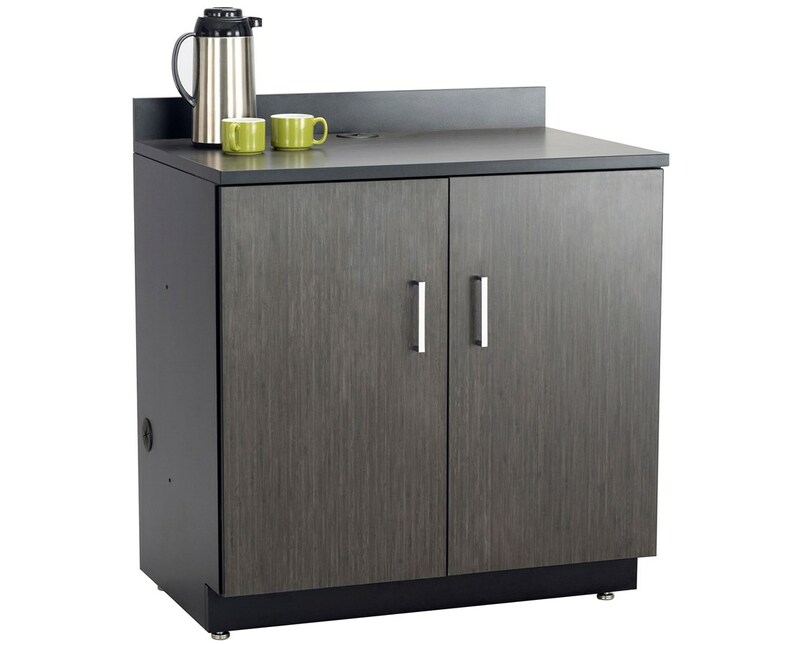 Its countertop is heat resistant, has a flexible grommet for cord management, and has a three-inch-high backsplash affixed to it. 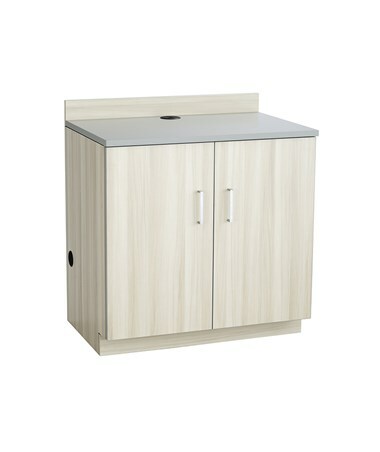 The doors feature a soft self-closing mechanism and both have a contemporary brushed nickel pull handles. Also included are integrated, easy-to-use floor levelers. 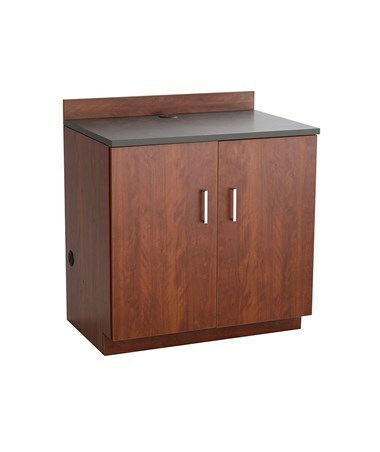 The Safco 2-Door Hospitality Base Cabinet is available in three different colors. Please select your preference from the drop-down above.